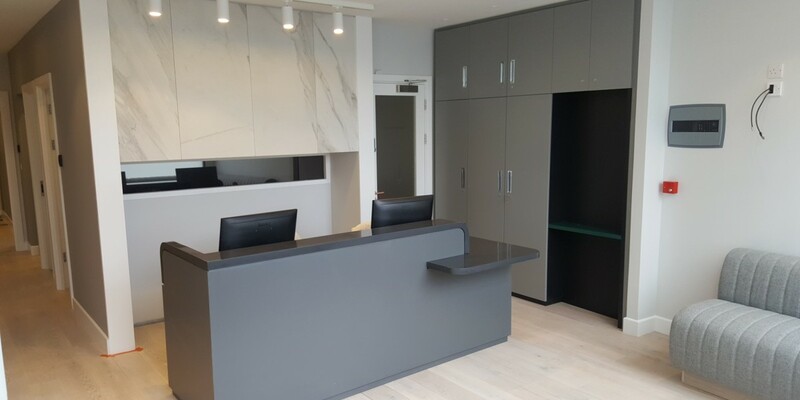 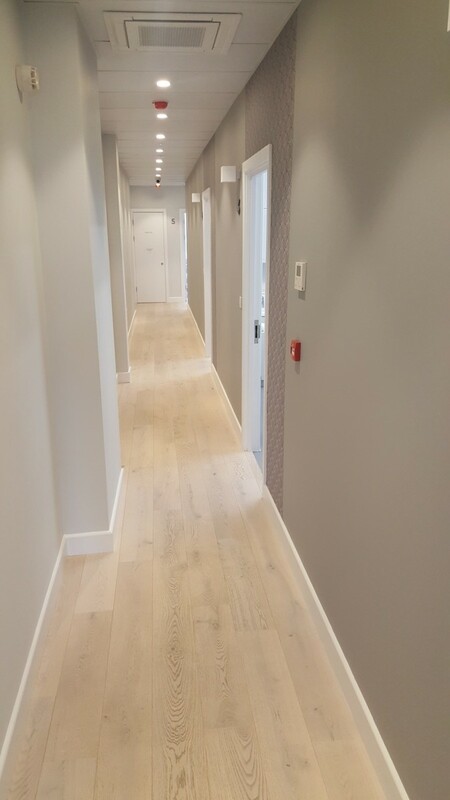 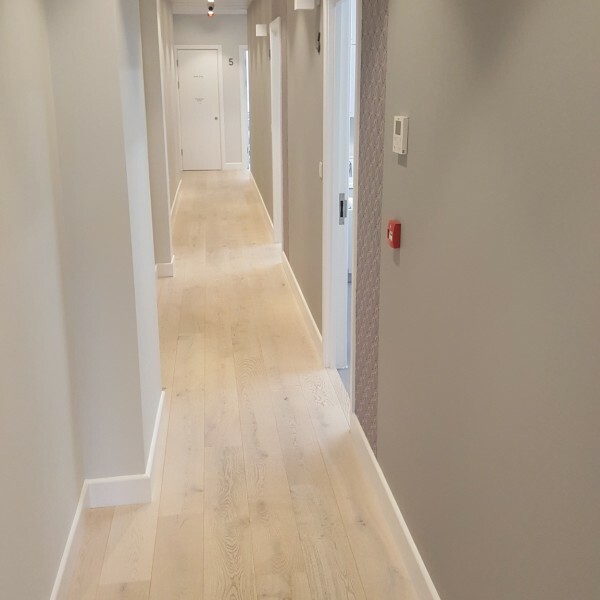 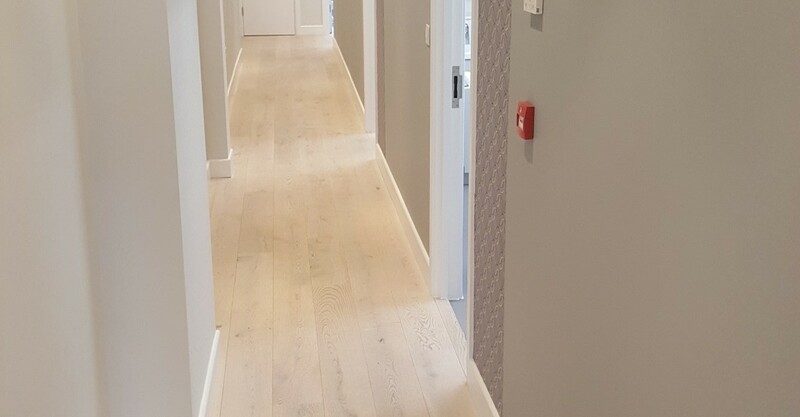 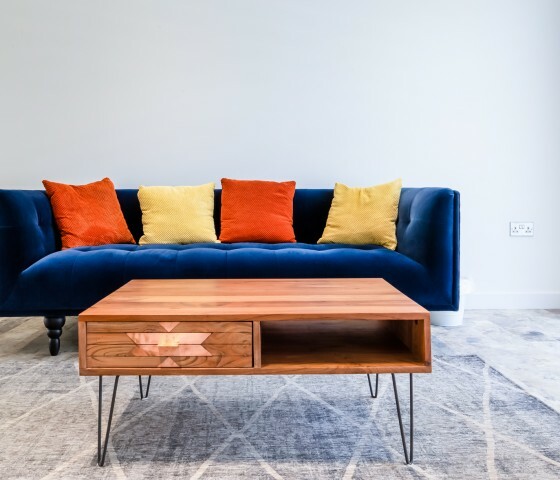 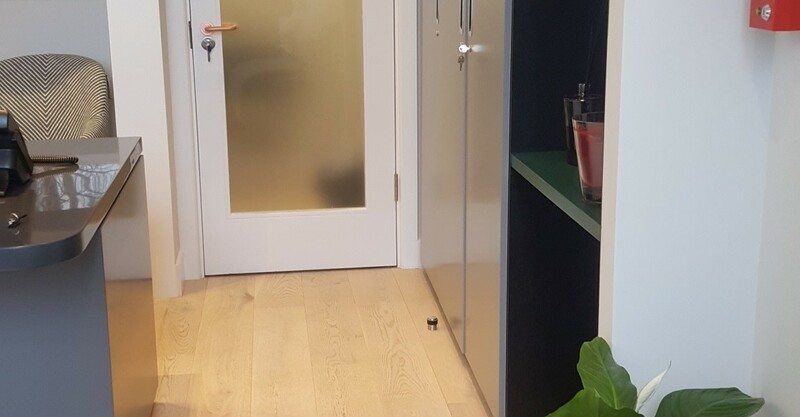 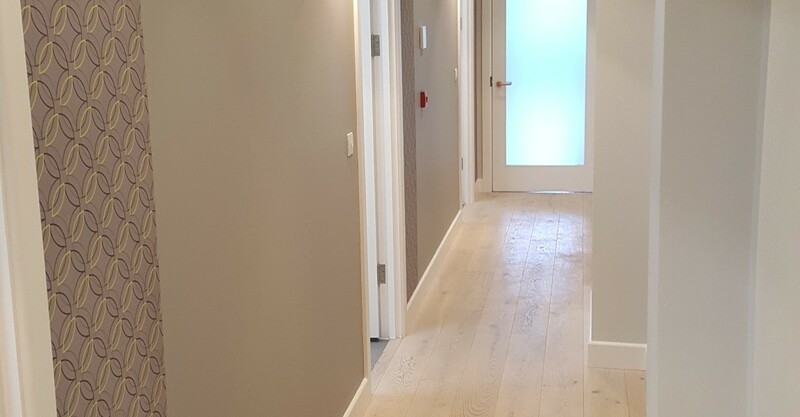 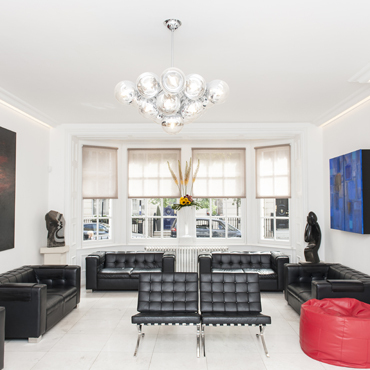 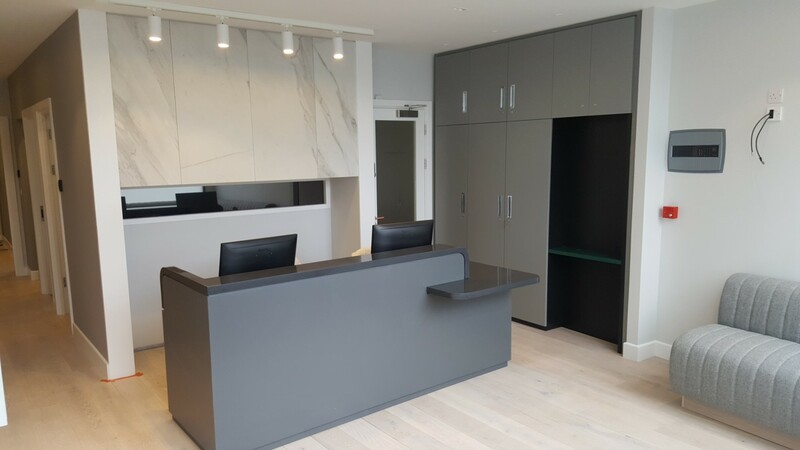 Apollo Interiors were awarded the contract to fit out a new Dental Practice on Euston Road, five minutes walk from both Euston and St Pancras Stations. 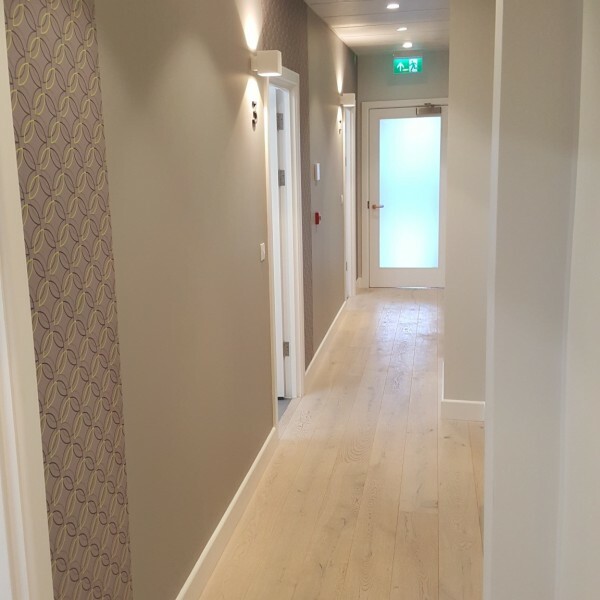 The building was an empty office unit so needed a complete refurbishment, with new wiring, a new hot water system and ventilation systems. 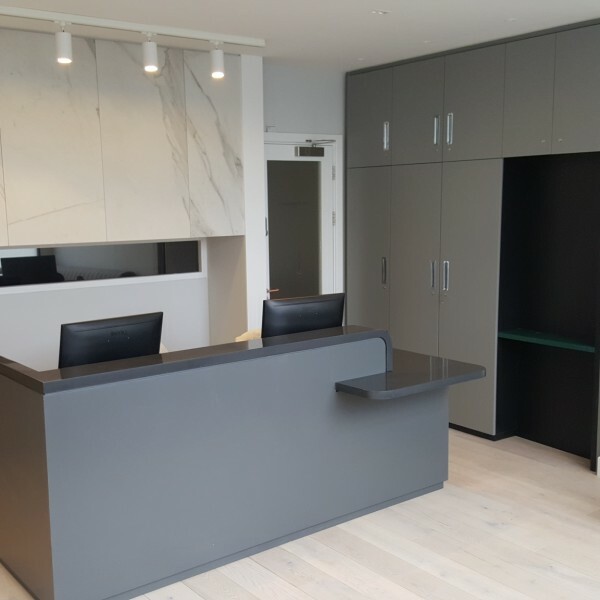 The build was to take 16 weeks and was run in conjunction with a client nominated architect and separate contract administrator. 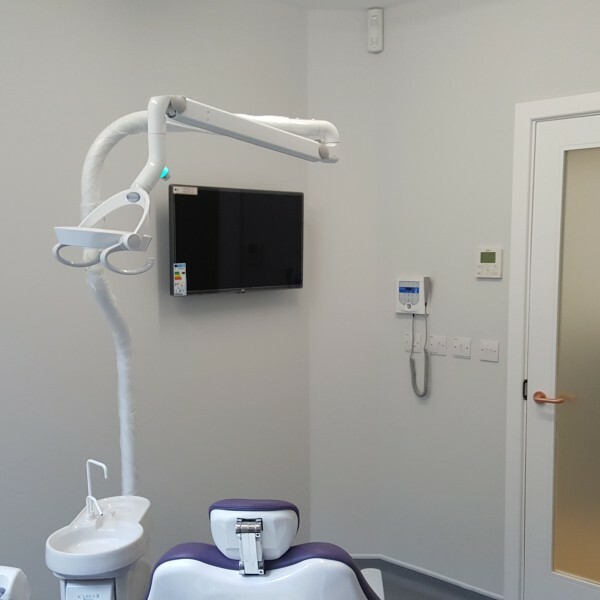 The internal build went smoothly with the Dental Practice coming together quickly and to time. 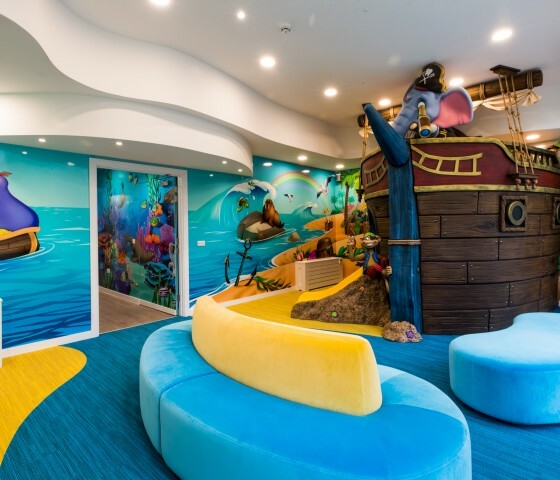 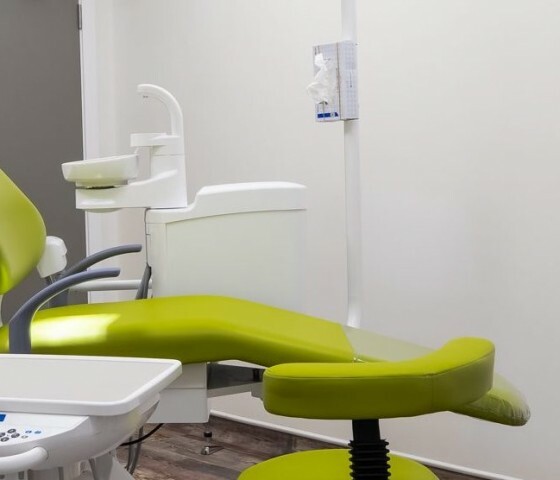 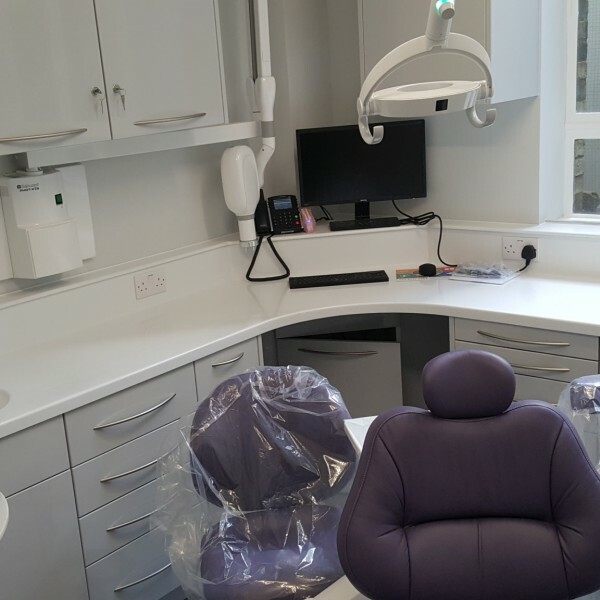 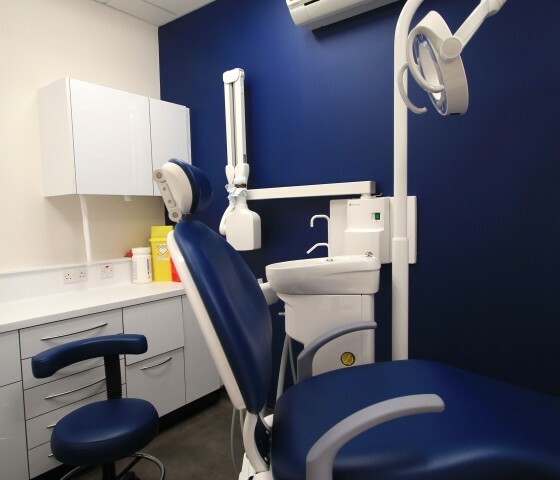 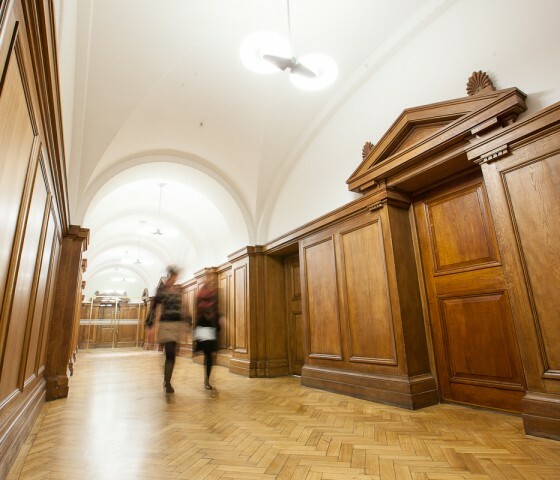 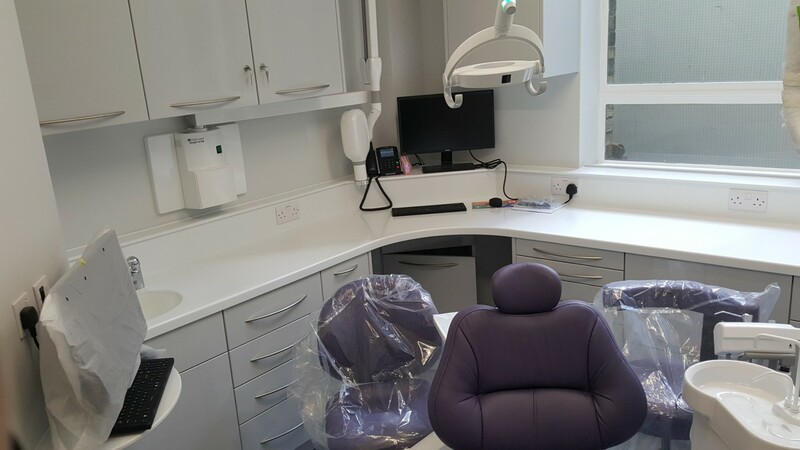 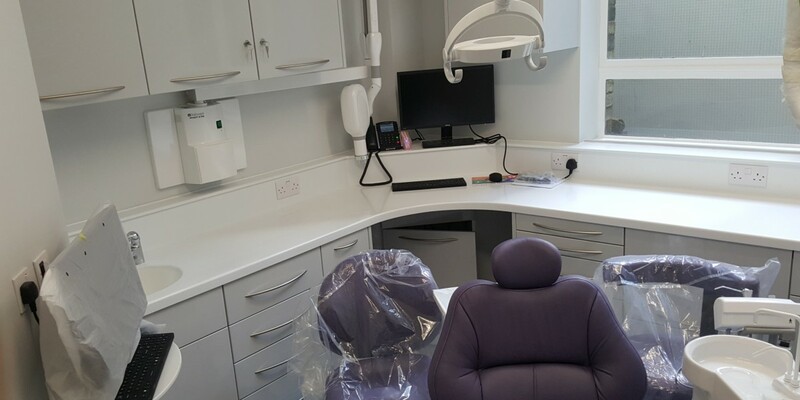 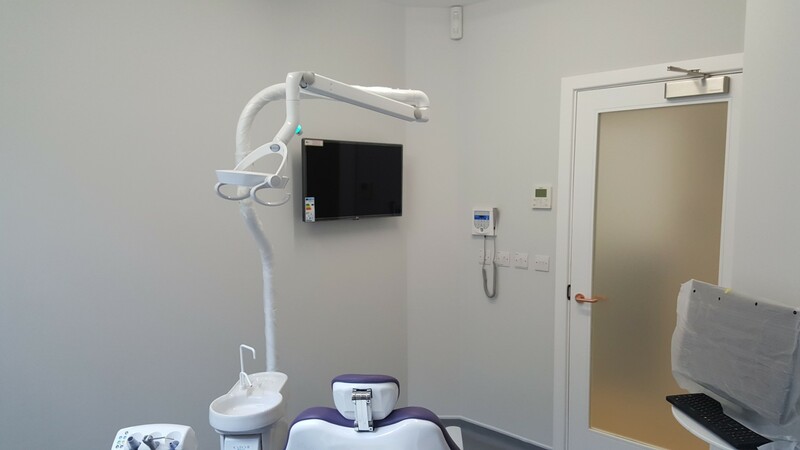 The main surgery areas were fitted out with Apollo doing all infrastructure work and Wright Cottrell fitting all cabinetry and dental equipment. 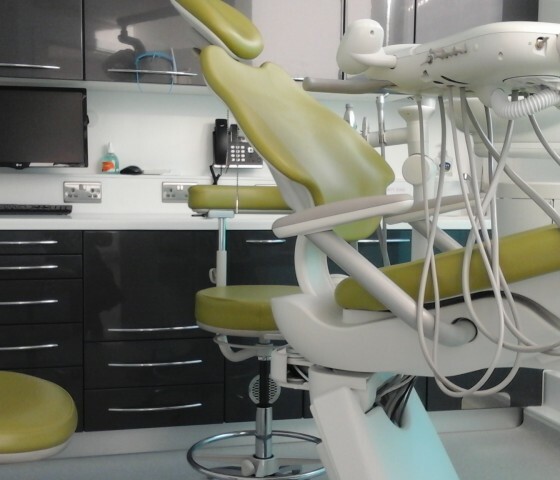 Each surgery had an intra oral x-ray so there was a very large amount of lead lining to do, all of which was approved by a local RPA advisor. 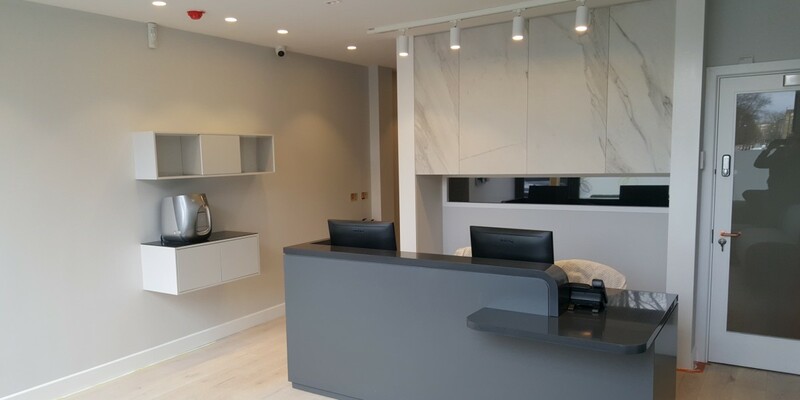 The main challenge of this dental practice fit out project was the supplying and fitting of the new shop front. 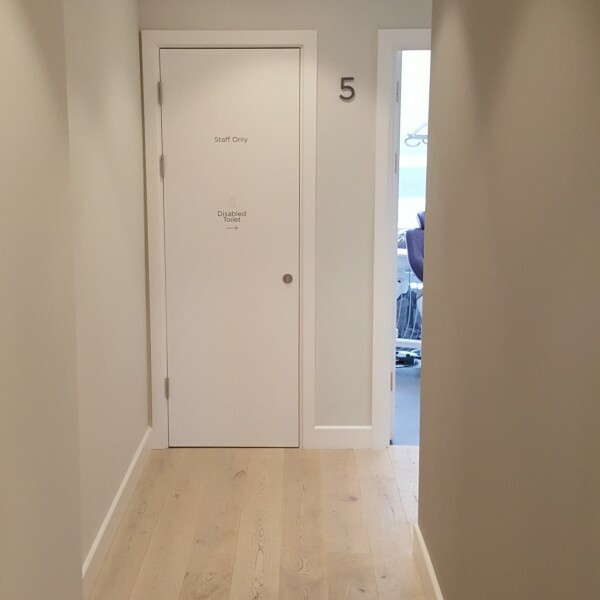 The practice is right on a red route on Euston Road so we had to go through the necessary permit applications with both Camden Council and Transport for London. 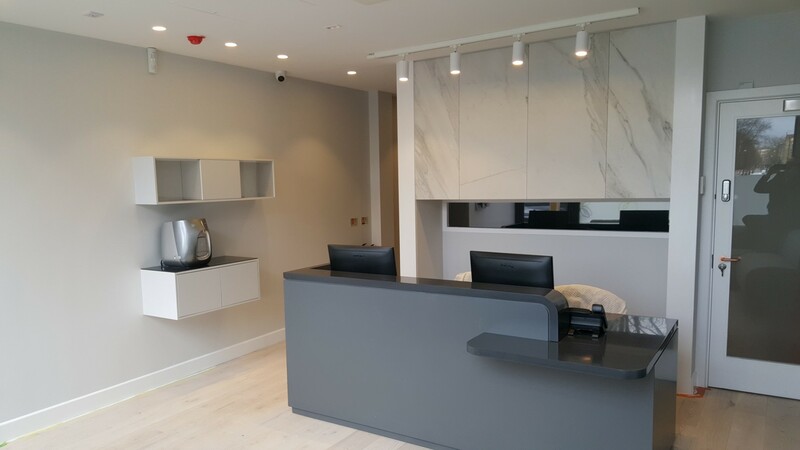 We managed to take out the old shop front and get the new one fitted in one day as planned, although it was an extremely long day. 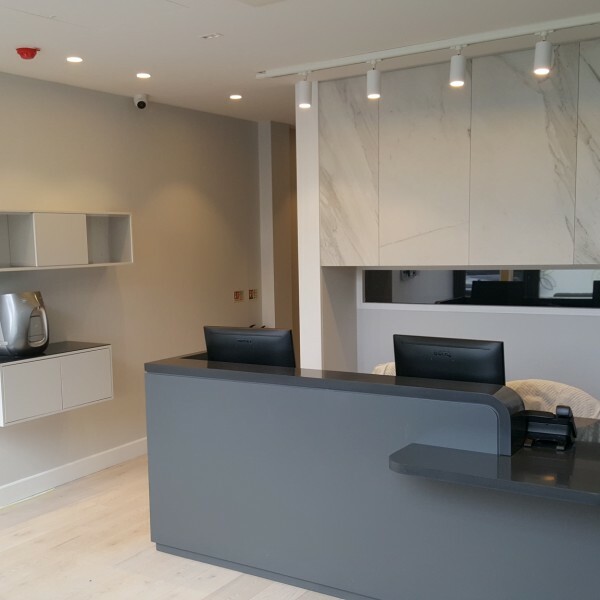 The project programme ran to plan throughout with just the shop front design alterations holding us up slightly towards the end of the project. 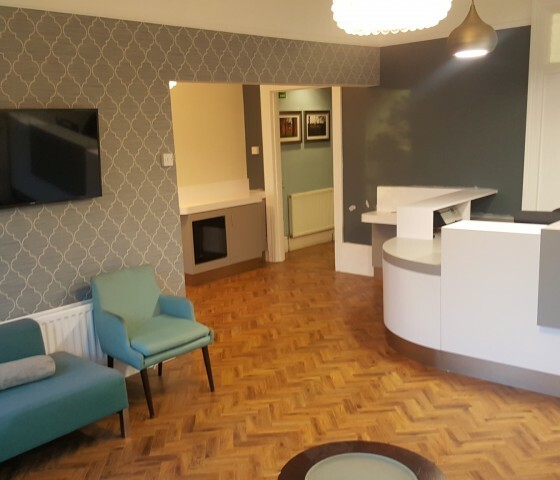 This was still completed on time and in time for the CQC inspection which was key for the practice to be able to open on time. 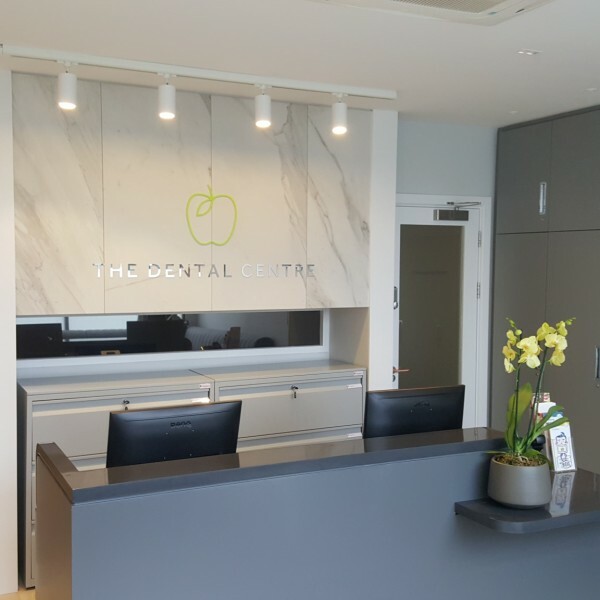 Apollo attended the CQC meeting to present the practice set up from an infrastructure, x ray protection and ventilation point of view, with the client also present to showcase the day to day running procedures of the practice. 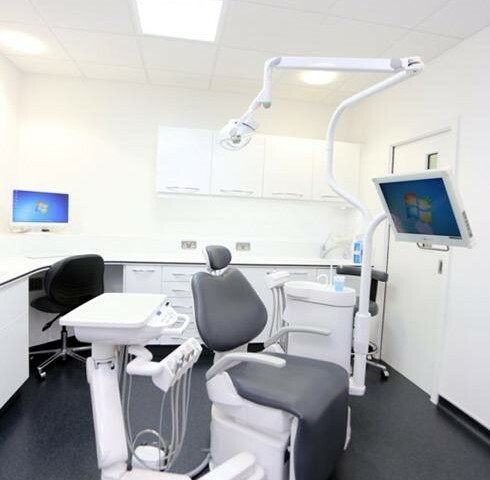 This meeting went well and the CQC, along with NHS England gave approval for the new practice to open as soon as they wished. 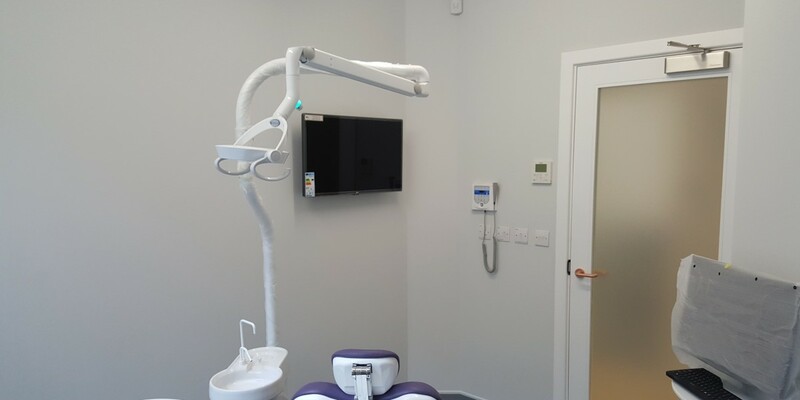 Apollo carried out every element of this project other than the dental cabinetry and equipment and the fitting of the wall mount AC units. 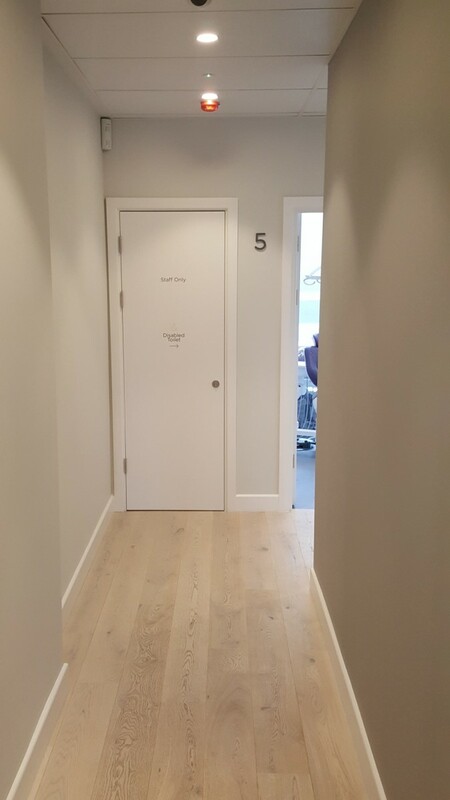 All joinery was undertaken to an extremely high standard by our nominated joiner. 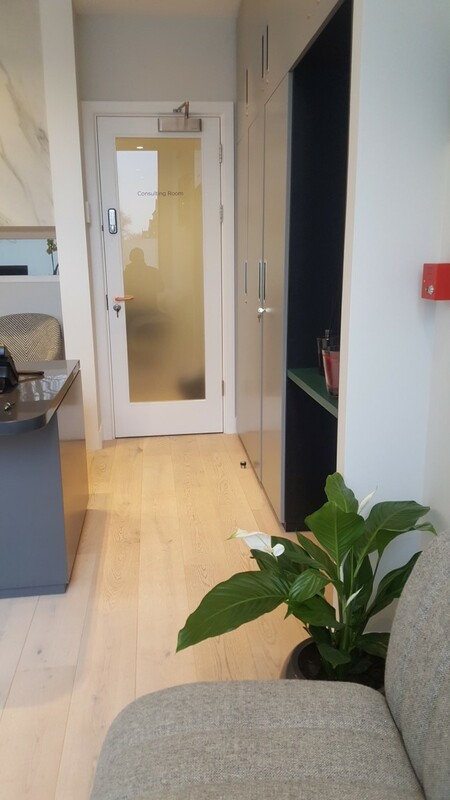 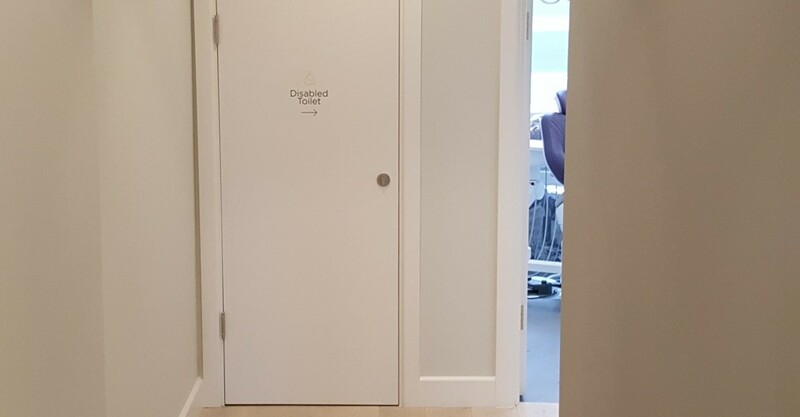 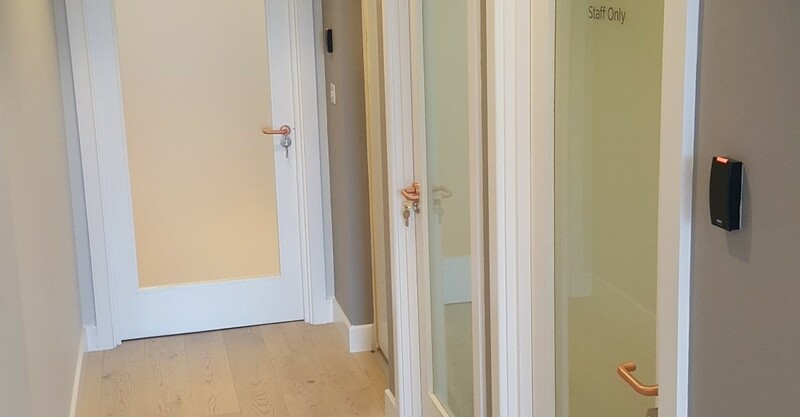 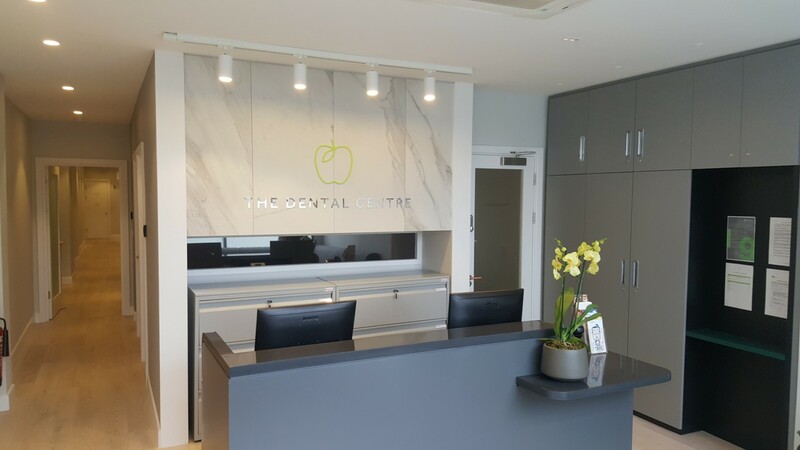 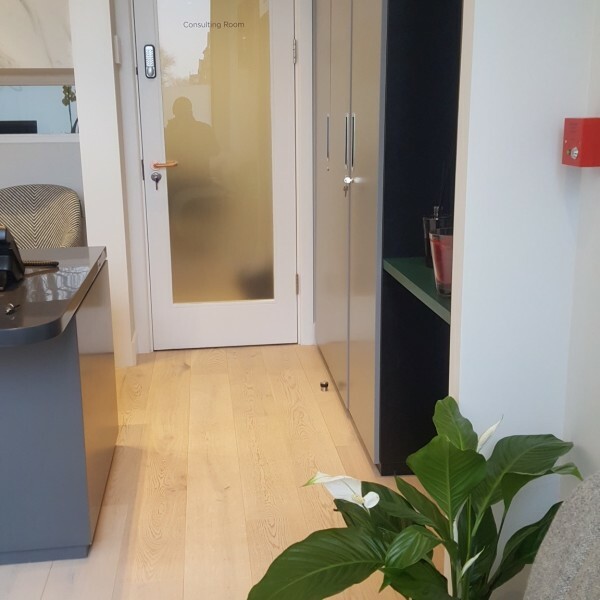 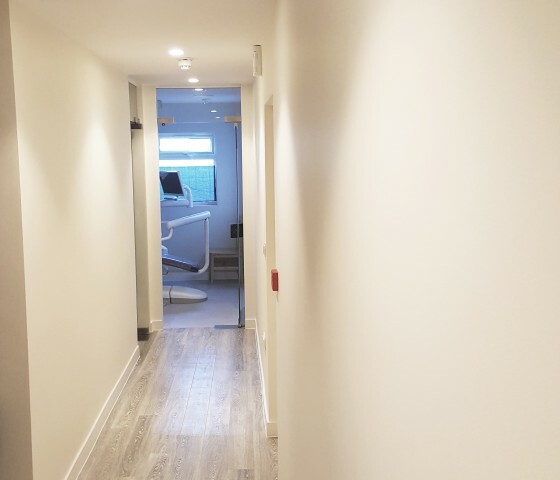 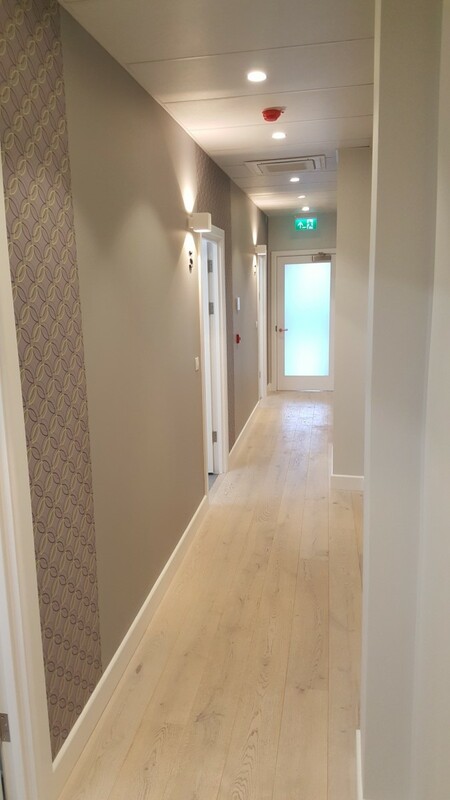 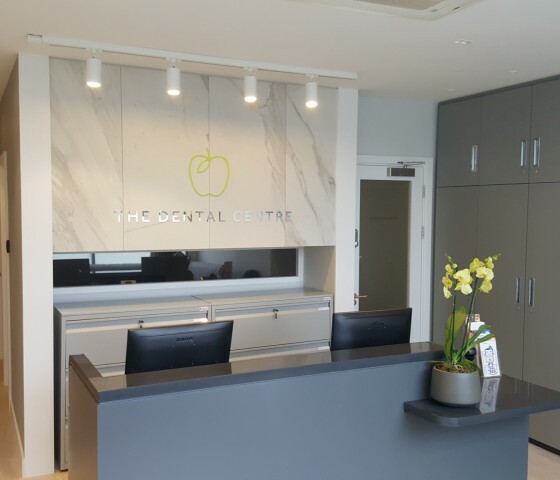 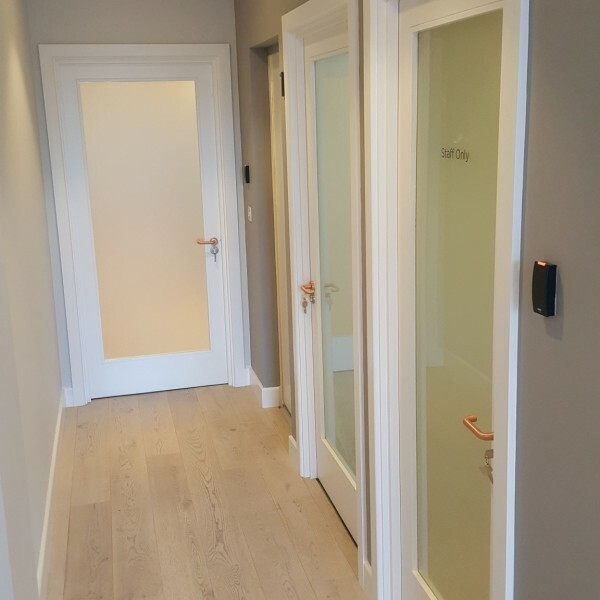 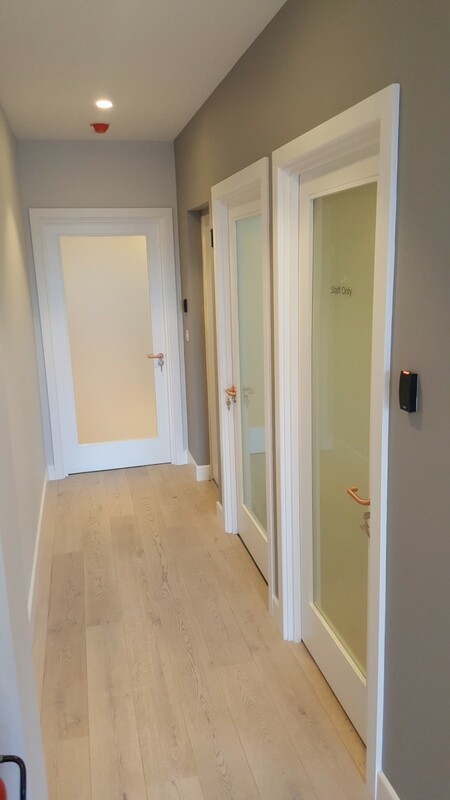 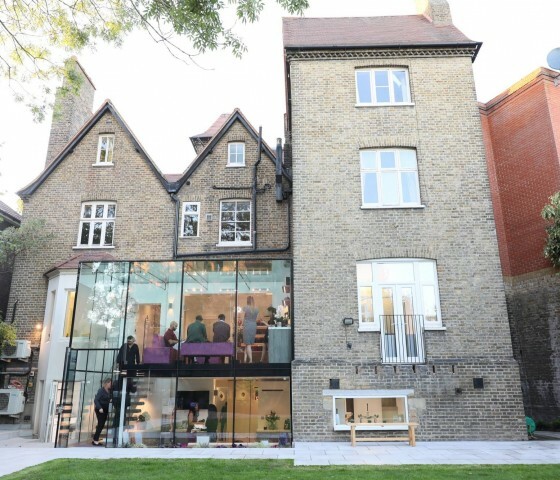 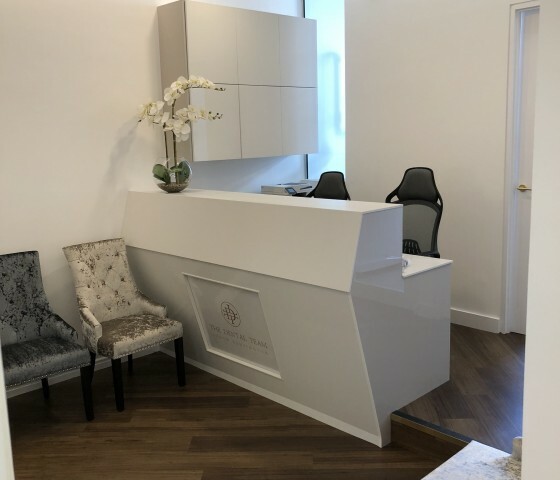 From the long narrow space we were provided with, we’re very proud of the elegant, high end, five surgery dental practice fit out we have produced.